The IOYA board and members, are terribly disturbed and disappointed to hear that Columbia University has invited Meles Zenawi, the dictator of Ethiopia responsible for genocide against the Oromo, Amhara, and other peoples of Ethiopia, as a keynote speaker on leadership in Ethiopia and Africa. By just inviting an individual widely known to be responsible for fraudulent elections and thousands of murders and human rights abuses (please refer to Human Rights Watch and Amnesty International reports on Ethiopia), Columbia University is essentially endorsing diplomacy for tyrants and turning a blind eye to international crimes. The International Oromo Youth Association (IOYA) is an umbrella organization for all Oromo Youth Associations and Student Unions across the world. It was established in 2006 with the vision of engaging in a multifaceted struggle to bring freedom, justice, equality and development to the Oromo people, the largest ethno-national group in Ethiopia (over 40 million). 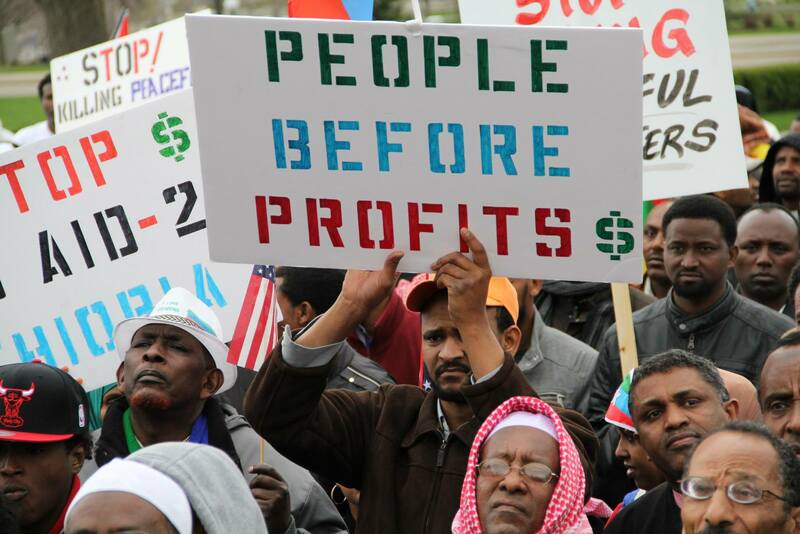 In addition, IOYA is committed to alleviating the economic, social, and human rights deprivations of the Oromo nation within the Ethiopian state at no cost to any other nation, peoples, or country. This is why we, the IOYA board and members, are terribly disturbed and disappointed to hear that Columbia University has invited Meles Zenawi, the dictator of Ethiopia responsible for genocide against the Oromo, Amhara, and other peoples of Ethiopia, as a keynote speaker on leadership in Ethiopia and Africa. By just inviting an individual widely known to be responsible for fraudulent elections and thousands of murders and human rights abuses (please refer to Human Rights Watch and Amnesty International reports on Ethiopia), Columbia University is essentially endorsing diplomacy for tyrants and turning a blind eye to international crimes. As a place of academic learning and intellectual thinking, Columbia University is supposed to practice the freedom of speech; however, extending an invitation to Meles Zenawi, a man who does not respect his own constitution and the notion of freedom of speech itself, is not practicing any freedom but rather enabling a murderer of innocent civilians (and the possibility of democracy) to speak to students attempting to learn. In fact, the irony of this situation is that while the event is supposed to be about Ethiopian and African leadership, an individual who has made unity in East Africa impossible for the past 20 years with the various wars he has declared against Eritrea and Somalia is going to be giving lip-service to notions of leadership and multinational democracy. Furthermore, Zenawi and his regime have imprisoned and tortured hundreds of activists, students, artists, journalists, and farmers who have struggled against Zenawi’s tyranny in the hopes of reaching peace and democracy. Oromo nationalist singer Ebbisa Addunya and his friend Tana Wayessa were shot dead by government gunmen on August 30th [,1996]. They were at Ebbisa’s home in the Shiromeda area, No 094, Higher 13, Kebele 01, north of the American Embassy in Addis Ababa, when gunmen burst in. Eyewitnesses claim the bodies were dragged from the house and put in a Land Rover with a government license plate. The security men who carried out the murders first cleared the street. Residents who looked out of their houses after the gunfire were told to get back indoors. The bodies were recovered [the] next day from the morgue at Menelik II hospital. One particularly famous and gifted musical artist named Ebbissa Addunya was murdered in his own home. 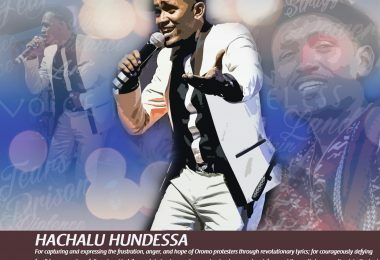 Numerous other Oromo artists and civilians attempting to practice their freedom of speech have lost their lives as well. We understand that you might be aware of these sorts of crimes that Zenawi and his regime are responsible for. But the extent of these crimes is something that might have been overlooked. If necessary, please refer to Human Rights Watch, Amnesty International, and US State Department reports, and also an online compilation of Zenawi’s human rights abuses in Ethiopia entitled “Human Rights in Ethiopia: Through the Eyes of the Oromo Diaspora”. Hence, President Bollinger, we want to ask you why is your institution welcoming a tyrant responsible for thousands of deaths, the elimination of freedom of speech in Ethiopia, and the instigator of war and conflict in East Africa, to come speak to its students? What can be learned from an individual who blatantly gives lip-service to democracy and all its principles, which Columbia University and the United States should be defending? The Zenawi regime has transformed the country into a one party country. With the 2010 election ending with a supposed 99.6% victory for Meles’ party and countless killings of protesting innocent civilians, he is only continuing his authoritarian rule over Ethiopia. President Bollinger, we, IOYA members and Oromo-Americans of the US, urge you to not allow Columbia University to passively endorse diplomacy for tyrants. 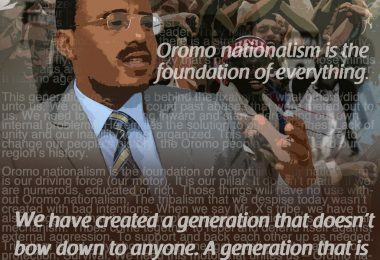 We urge you to consider what this means to the hundreds of Oromo-American citizens who have fathers, mothers, sisters, brothers, and other relatives who have been victims of Zenawi and his regime.